Madonna led a tribute to the late Aretha Franklin at the MTV Video Music Awards but angered fans who felt she spent more time talking about herself than the Queen of Soul. The expected tribute to Franklin at the first gathering of top musicians since the singer's death at age 76 last week came at the end of the almost three-hour ceremony on Monday (local time). 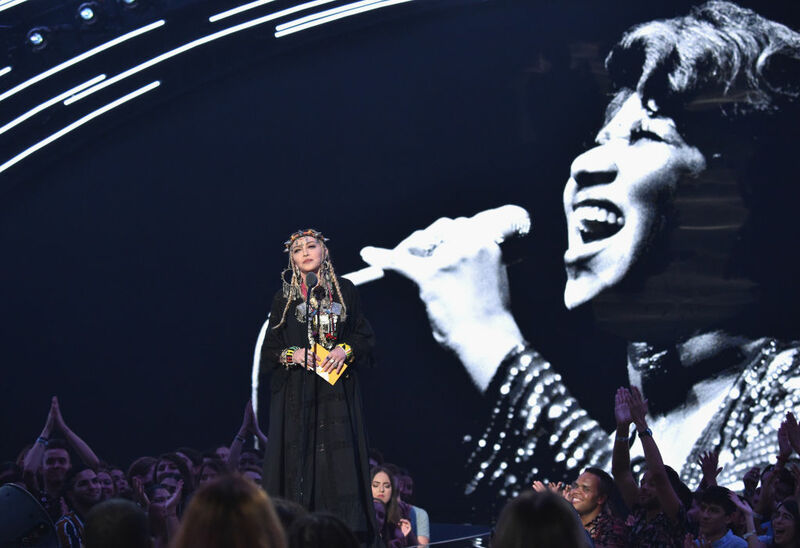 "Whoever at the #VMAs let Madonna get on stage and give a tribute to @ArethaFranklin or whatever that was really should be out of a job right about...now," tweeted Alicia Garza, co-founder of the Black Lives Matter movement. "You do not disrespect an ICON like that," wrote Nina Parker on Twitter. "You honor a legend by telling their story or SHUT UP. The AUDACITY."